Natural gate offers various orgone cabochons in different shapes. 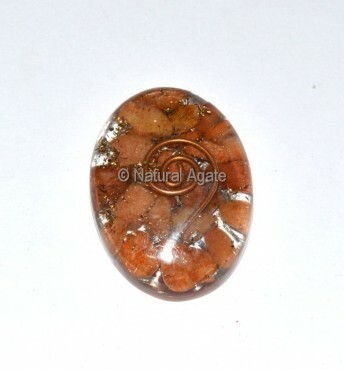 This peach aventurine orgone cabochon is in oval shape. It transmutes negative energy into positive one.